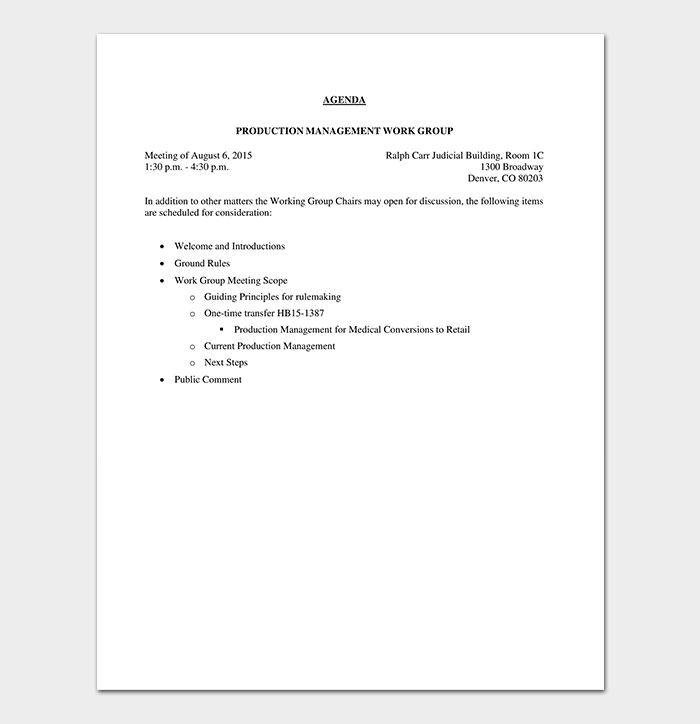 A successful meeting begins with methodical research and finishes with comprehensive, executable tasks. 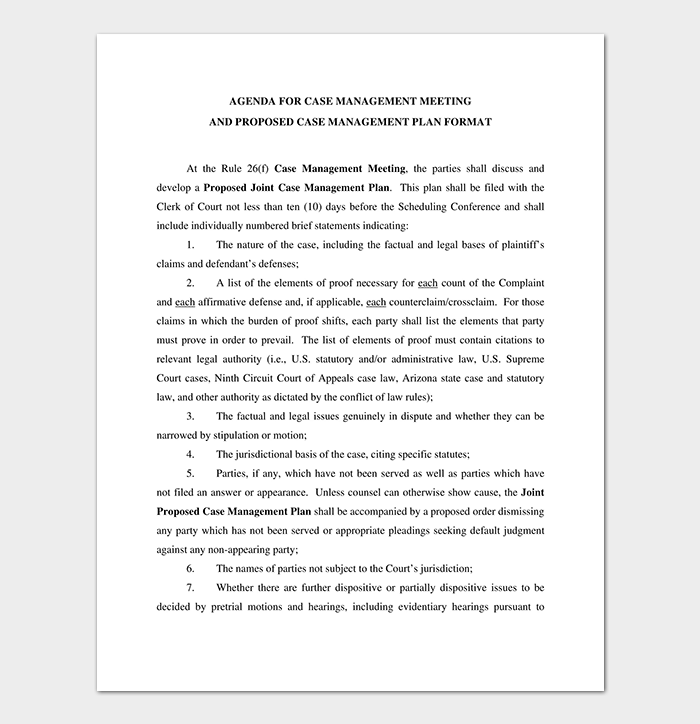 However, it is essential to have a clear, concise and detailed agenda before the start of the meeting to ensure the objectives of the meetings are met accordingly. 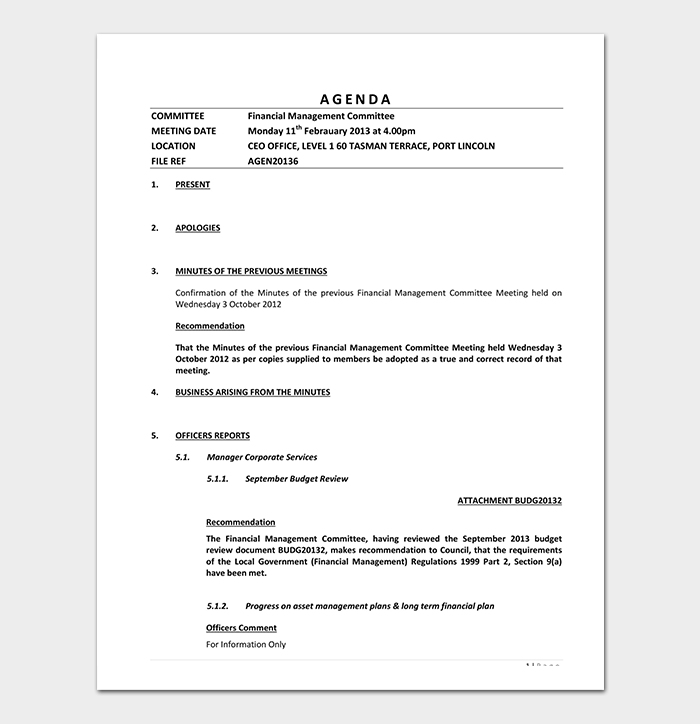 However, setting an agenda for the meeting will eat up a lot of time. 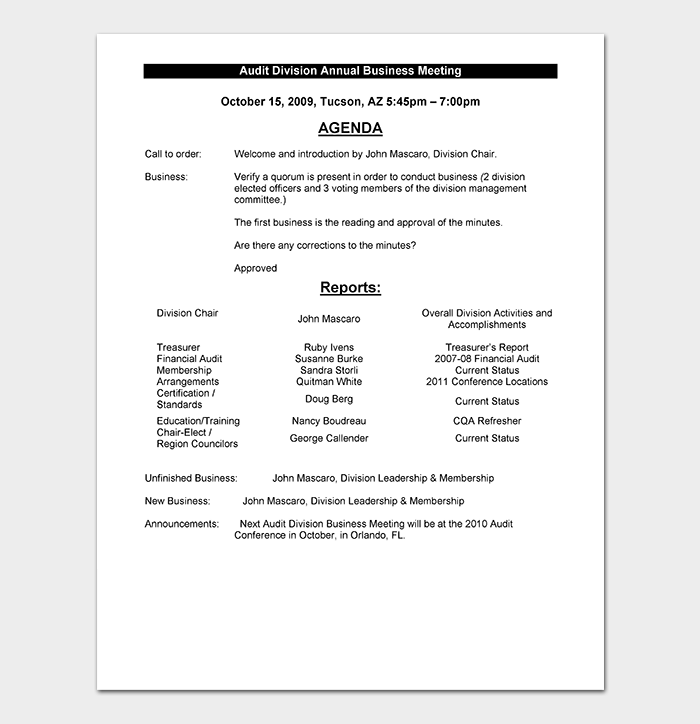 Additionally, it is possible that you may miss out an important element of the agenda for the meeting. 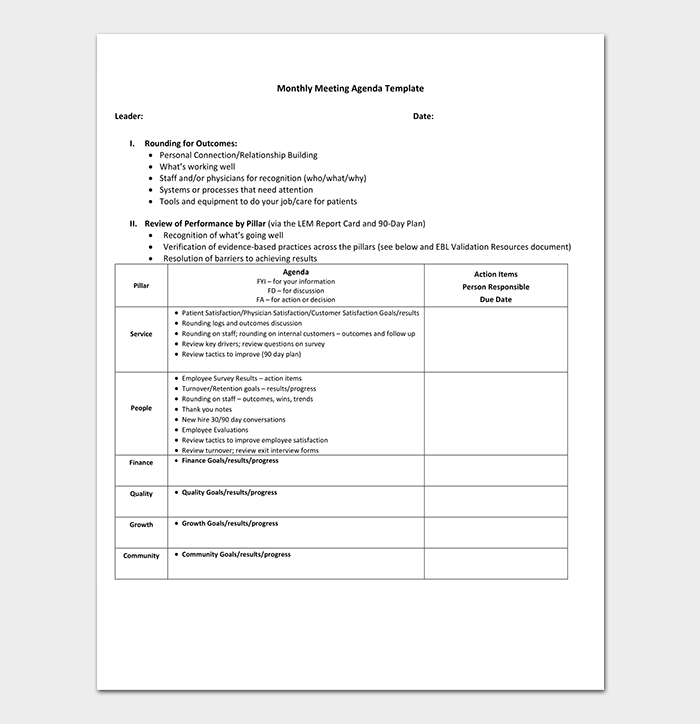 You can ease this chore and save your time with a ready-made management meeting agenda template. 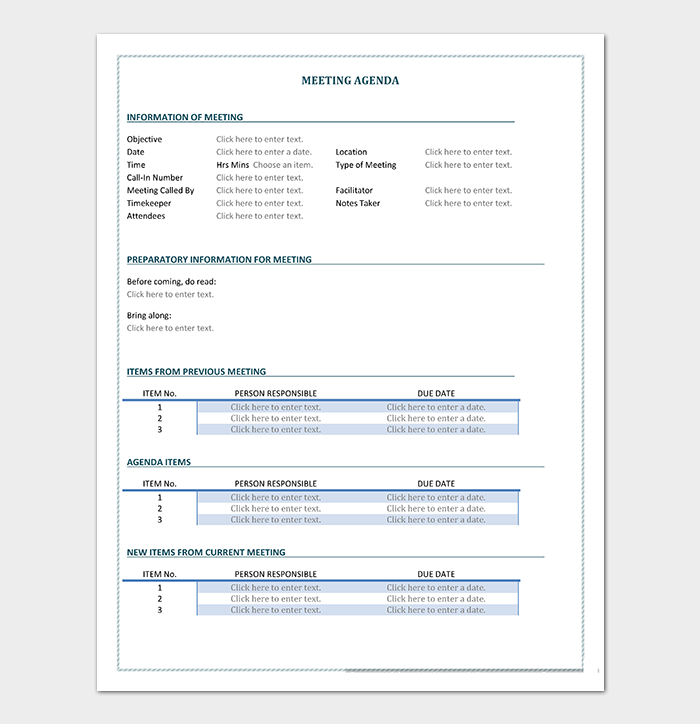 A pre-made template can make your meeting chores clearer, easier and simpler. In any company, small or big, it is customary to have a leadership meeting from time to time. 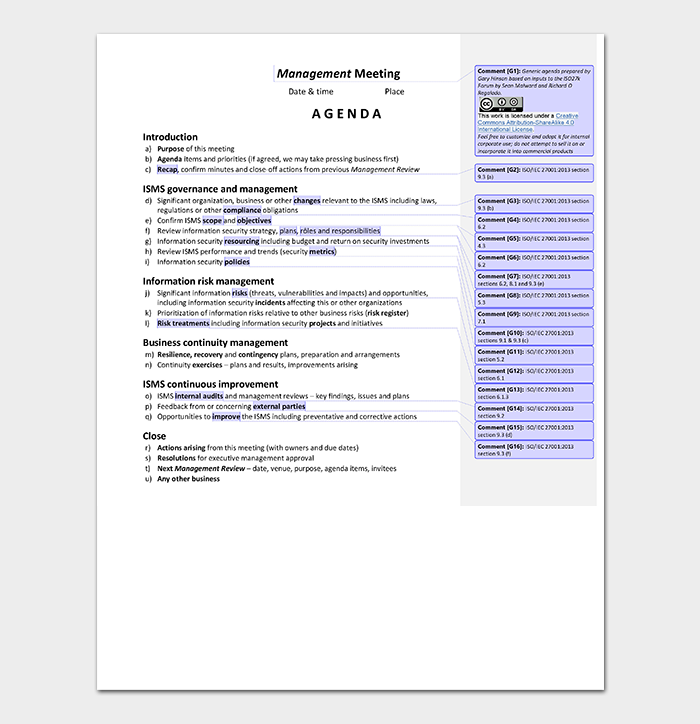 Such a meeting is accountable for planning, organizing and managing resources for the accomplishment of company goals. 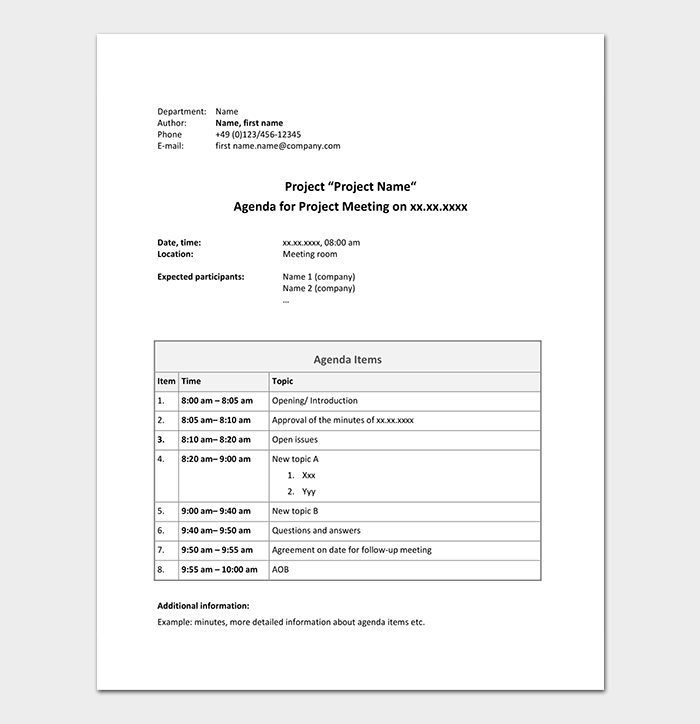 A single mistake in the agenda of the meeting can cost the business dearly. 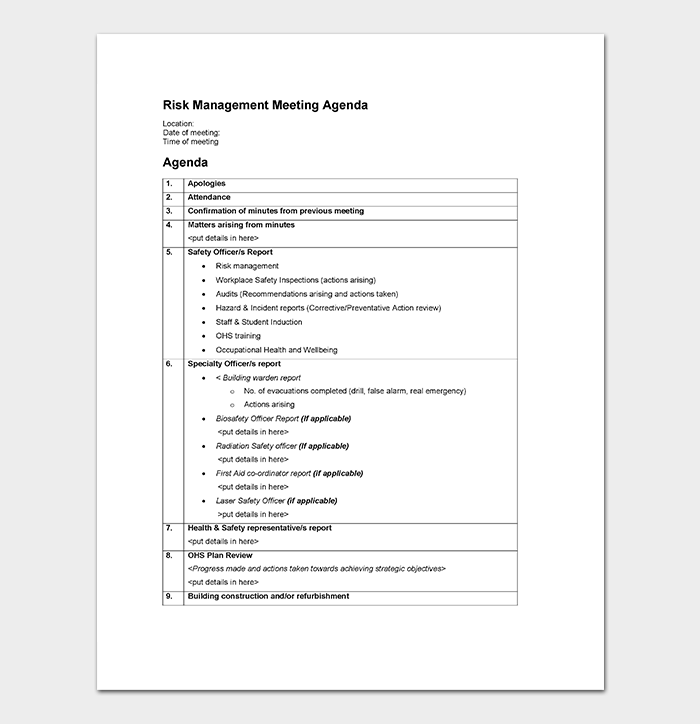 The good news is you can avert any such unfortunate scenario through a well-made leadership meeting agenda template. Management meetings at a senior level tend to be comprehensive. The agenda of such meetings is aimed at long term goal accomplishments. 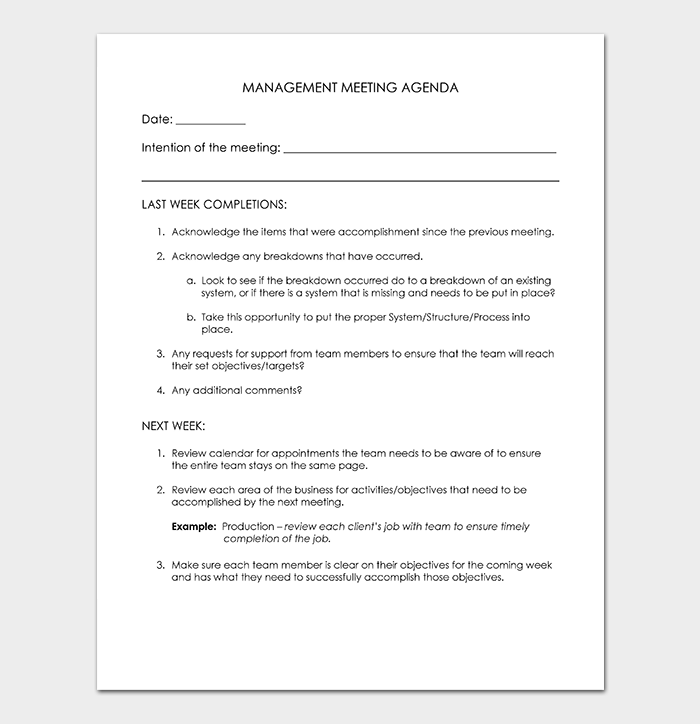 Senior management meetings also focus on problems and dynamic changes that a business has to undergo over time. 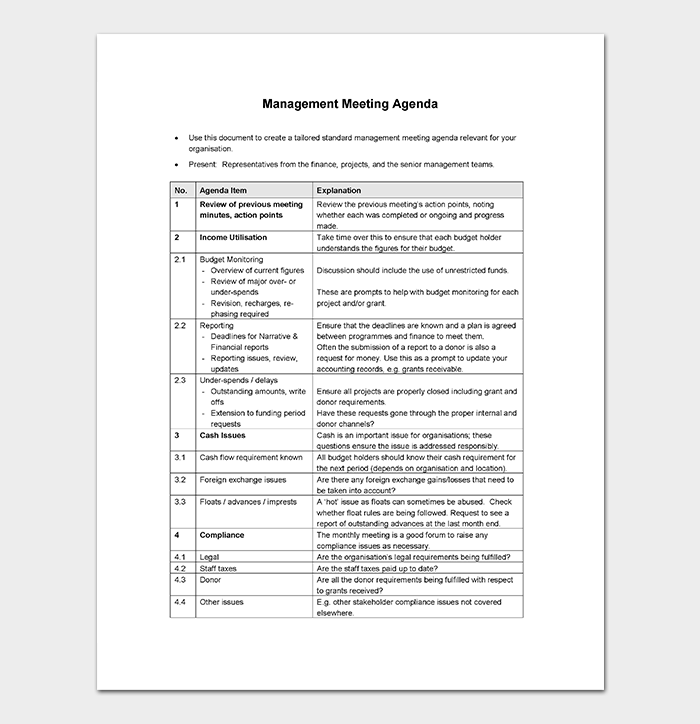 Managers can ease their agenda making process with the use of senior management meeting agenda templates. A team is assigned a specific job from time to time. While the working environment and responsibilities are not very extensive, the chores are really intensive. The team has to pay attention to smallest details to ensure their job is done perfectly as desired. 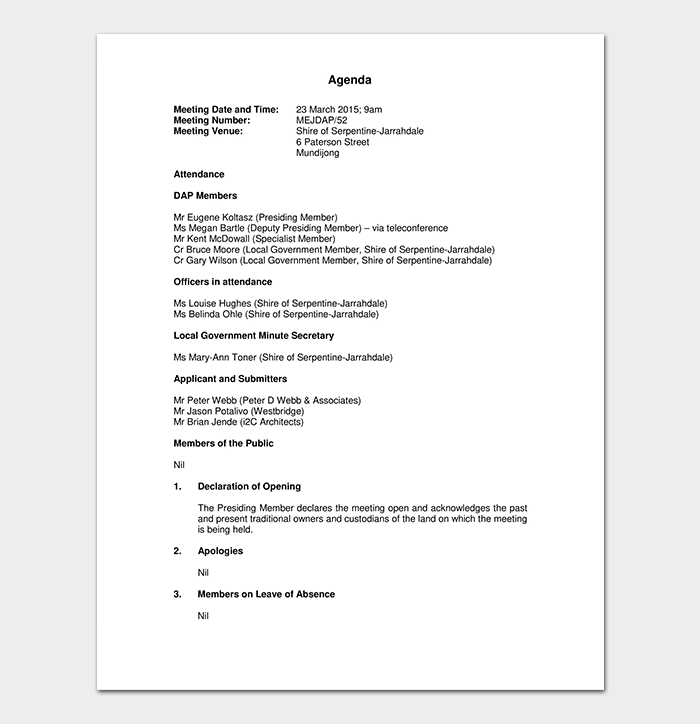 So, the agenda of the meeting has to be intensive with smallest elements. 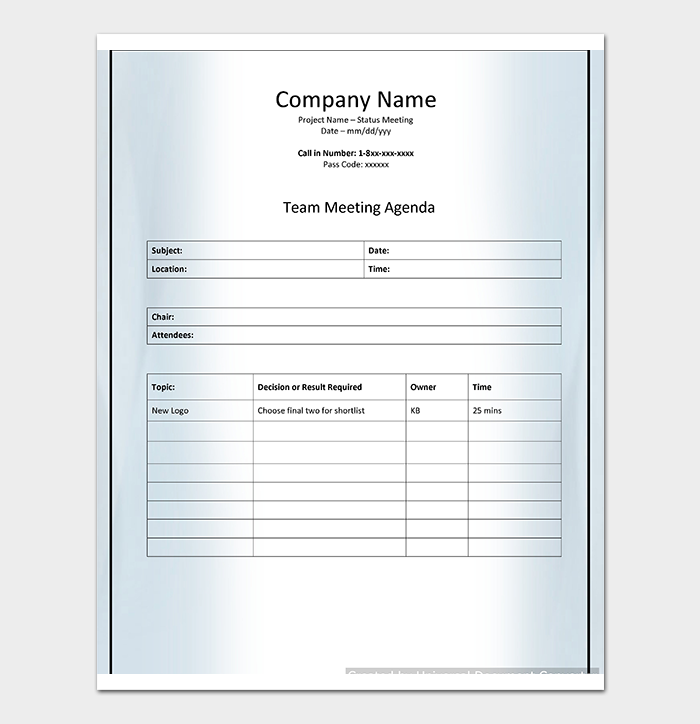 As a team member or leader, you can speed up the agenda making process with the use of a pre-made team meeting agenda template and make necessary additions for betterment. 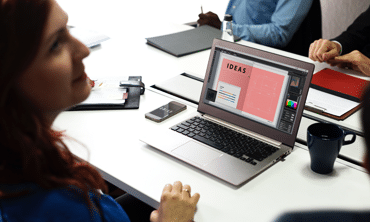 Although managers are experts at determining agenda of relevant meetings from time to time, it is always handy to have a ready-made template to speed up things. 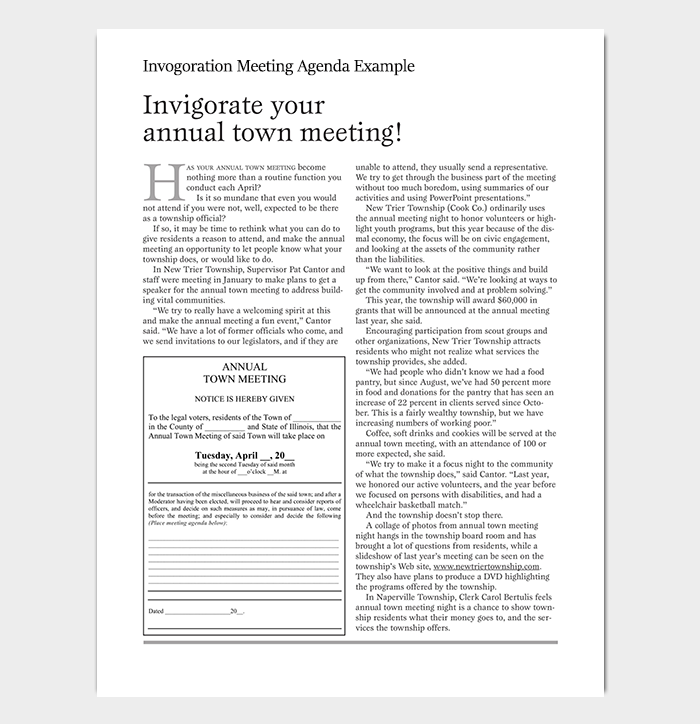 An agenda template will let you understand the basic points and elements of the meeting quickly. Also, it will assist you in drafting a professional agenda in a lot less time.